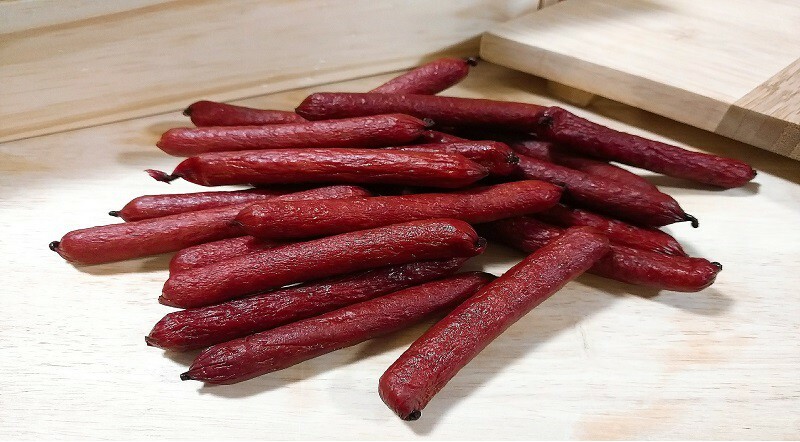 These sausages are slightly sweet with a hint of cherry. Lightly flavored with teriyaki, these pork sausages are sure to please!.. Like things hot & spicy? These are the hunter sticks for you!.. These spicy pork & chorizo sausages are flavored with chili and cayanne peppers. Great for those who..